This volume shows a lot of development between Aoi and Himari. Himari refuses to leave Momochi House and decides that she needs to find a way to help Aoi break the barrier so he can return to the human world. In the interim, she enrolls in a nearby university and her peers discover that she lives in the haunted house in the woods. On her way home from school, she discovers them following her. She decides to invite them in to prove to them that her house isn’t weird. She tells her male roommates to stay out of sight because she told her classmates that she lives with her sisters. In a hilarious turn of events, Aoi, Yukari, and Ise dress up as women in traditional kimonos and invade the gathering. The three “sisters” discover something strange and undead about one of Himari’s peers and now it is up to Himari as mistress of the house to get the bad spirit out before it is too late. I find it really touching how close Himari and Aoi are becoming. This volume also shows the gradual acceptance Himari is finding in the house. The boys have given up on trying to remove her and have found ways to continue their lives with her around. There also elements of Japanese folklore in this and a lot of nuances that fans of that genre would love. Although this is primarily a love story, I definitely think fans of Xxxholic should consider getting into this. 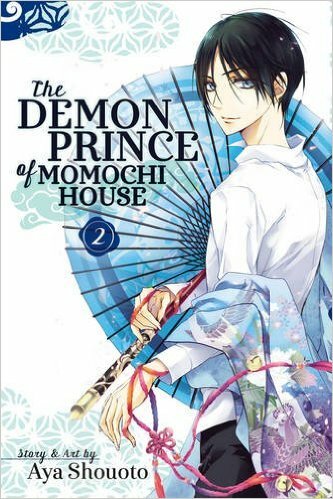 I mentioned in my review of the first volume that this series reminded me of CLAMP’s work but now I am absolutely convinced that fans would like this series as well. Volume 2 really shines for people who are looking for something similar.